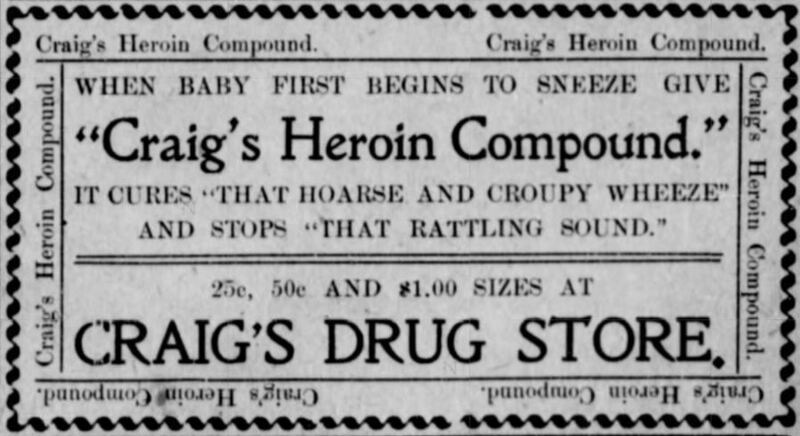 And now for today’s story titled The Baby is in the Mail, which starts on January 1st of 1913. That is the date that the United States Postal Service started domestic Parcel Post Service. Prior to this date, if you wanted to mail anything larger than a letter to someone living within the US, you would have had to use one of many private express companies that existed, which was very costly. While far cheaper, this new parcel post service did have some limits. First, one could not send a package that weighed over 11 pounds (5 kilograms) and a combined length and girth of 72 inches (1.8 meters). Second, whiskey, guns, dynamite, turpentine, matches, kerosene, benzene, and rubbing alcohol were forbidden for obvious reasons. Of course, in putting together the rules for this new means of shipping, the postal service was unable to anticipate every type of item that people would mail. History is full of items that people should never have sent in the first place. Pieces of the Titanic’s hull, an 11,000 pound Sikorsky Black Hawk Helicopter, animal blood, and dead sharks. Live animals that have been shipped include frogs, worms, snakes, penguins, an alligator, a rhinoceros, and human babies. Now, before I discuss how and when of human babies being shipped via the postal service, I should point out that it was never allowed from day one. The only live animals permitted to be shipped via Parcel Post at the time were bees, that’s queen bees to be exact. The question of shipping babies via Parcel Post popped up almost immediately. Just seventeen days after its inauguration, Postmaster General Frank H. Hitchcock responded to inquiries regarding the shipment of human babies through the mail. While no new regulation was passed at the time, he felt that since babies did not fall into the category of live bees or bugs, they could not be shipped. When I mentioned this story to someone the other day, she asked me why anyone would ever consider mailing a baby in the first place. There were two good reasons: First, it was a lot cheaper than buying a railroad ticket – make that three tickets – one for the child and two for the person that would accompany the child and then return home afterwards. The second reason may come as a bit of a surprise based on the reputation of the US Postal Service today – they were a lot gentler with their packages than the carrier services were back then. The first record I could find of a baby being mailed in the United States occurred on January 25th of 1913 – just 9 days after the Postmaster General had said that it was not allowed. A mail carrier named Vernon O. Lytle picked the baby up from the residence of his parents Mr. and Mrs. Jesse Beagle in Glen Este, Ohio and delivered the so-called package to the grandmother – Mrs. Louis Beagle – who lived about one-mile away. The boy weighed 10-3/4 pounds, just under the 11-pound weight limit. Postage cost the Beagles 15 cents and the boy was insured for $50. Two days later, another baby was shipped. This time it was the daughter of Mr. and Mrs. J.W. Savis of Pine Hollow, Pennsylvania. The child was delivered by a rural mail carrier named James Byerly to relatives in Clay Hollow. On August 20th, Mrs. D. Boshon of Lodi, California tried to mail a baby to the home of Mrs. G. Sandhime, a neighbor two miles away. Mrs. Boshon’s postman David Beardsley had been notified of the delivery six days earlier and didn’t know if the baby could be shipped or not. To play it safe, he checked with the local postmaster, who informed Beardsley that it was against postal regulations to mail livestock. Since a baby was technically classified as livestock, he had to tell Mrs. Boshon that she could not mail her baby. One year after Parcel Post service was started in the United States, the weight limits on the packages was raised to 50 pounds within postal zones 1 and 2, and to 20 pounds for all other zones. You know what this means – people would try to send bigger children. There was a story in the February 4th issue of the NY Times that told of a two year old boy that was successfully mailed via parcel post from his grandmother in Stratford, Oklahoma to an aunt named Mrs. E.H. Stanley in Wellington, Kansas. Her nephew had a tag around his neck with 18 cents of postage affixed. It was reported that he had first traveled 25 miles to get to the railroad and then rode the line with the mail clerks to his final destination. But it was a question asked by Stratford, Oklahoma postmaster G.W. Merrill that finally forced the post office to issue an official ruling on the matter. It was reported that a man named J.B. Denton wished to send a 2-year-old child from Twin Falls, Idaho to Stratford. Merrill could find nothing in the rules and regulations of the postal system that said that children could not be shipped. His question reached the desk of the Second Assistant Postmaster General and it grabbed the attention of the head honchos there. They finally issued an official ruling that no living animal, including human beings, could be sent through the mail via Parcel Post. They allowed for just one exception – you guessed it – queen bees. As some would say, rules were meant to be broken and there was no exception here. In this case it was an unnamed 14-pound baby that made its way from Grandma’s house in Clear Spring to mom’s house in Indian Springs, Maryland. Then there was Charlotte May Pierstorff. Weighing in at 48-1/2 pounds (22 kg), she is the subject of the popular children’s book “Mailing May” by Michael O’ Tunnel, and is perhaps the most famous child ever to be mailed. Many sources claim that she is the only child to have ever been mailed, but that clearly isn’t the case based on my research. May was 3-months shy of her sixth birthday on February 19, 1914 when her parents dropped her off at the post office in Grangeville, Idaho. The conductor of the train was shocked when he entered the mail car to find May with 53 cents worth of postage attached her coat. She traveled the remainder of the trip in that car and was finally delivered to her grandmother, Mrs. Vennigerholz in Lewiston, Idaho. If you would like to make the trip yourself, her grandparents lived at 1156 Twelfth Avenue, which was a total distance of about 73 miles (117 kilometers) from her home. One year later, in March of 1915, 6-year-old Edna Neff was mailed from her mother’s home in Pensacola, Florida to her father’s in Christiansburg, Virginia. For just 15 cents worth of postage, Edna completed the journey and gained the honor of the longest distance that a child was ever mailed via parcel post. These baby deliveries were reported periodically over the next few years, but the postal service kept reminding the public that it was illegal to do so and the last story from this time period that I could find was dated June 10th of 1918 when Mrs. W. C. Henderson of Mountain Creek, Alabama had a baby delivered by mail to her residence. The last case I will mention is from August 18th of 1934. By this time, the mailing of babies had come to a complete halt, but the postal service made an exception in this case. There had been about 200 non-union men working for about a week inside the Aluminum Company of America, better known as Alcoa, plant in, where else, but Alcoa, Tennessee. Due to a big strike there, these men could not get out, nor could anyone get in to see them. The picketers outside the plant would not let anyone or anything through. The only exception was the mail. As a result, wives mailed packages of food and clothing to their husbands stuck inside the facility. The wives of John Hood and James Hedge came up with a brilliant idea. Since mail could get through unharmed, why not mail their children to the fathers for a brief visit? Postmaster Ben Inzer felt that no harm, provided that the children were stamped and addressed in the proper manner. Big tags – make that really, really big tags – each more than half the height of each child, were tied around their necks and the two children were successfully delivered. After a two hour visit with their dads, the parcels – I mean children – were mailed back home. So, the next time you would like to send your child on a long trip, just drop them off at the local post office and see what your postmaster has to say. My guess is that he or she will not be checking the regulation books this time. Instead, someone will probably be on the phone trying to contact child services with the intent of filing a complaint of neglect or abuse.